If you ask Coco, she'll joke that an extra glass of wine was responsible for her finally sending a Facebook message to her floppy-haired, guitar-playing crush from back in high school. She was planning a night out with friends and figured she would invite him along. Much to her surprise, Cam showed up, and they've been teammates ever since! Coco and Cam had the same thing to say about the start of their relationship; they both knew right away. "It just clicked. When you can be the best version of yourself without having to try to be what they want, it's the most awesome feeling. We don't have to be anything other than our authentic selves." Watching these two be their authentic selves has been a joy. 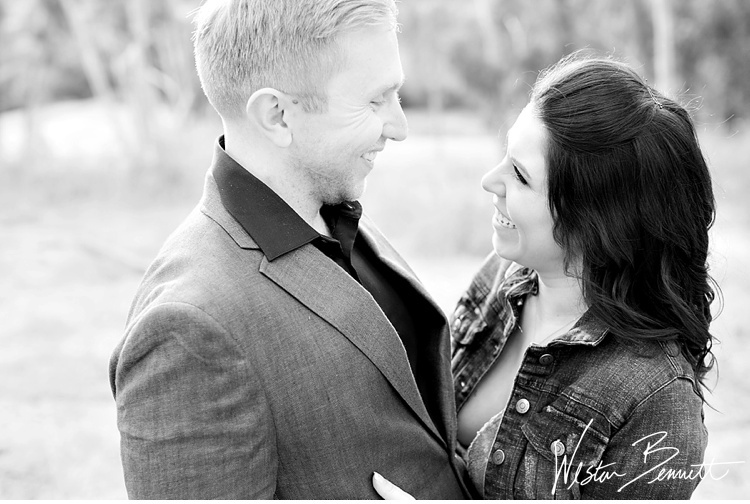 We started Coco and Cam's engagement session at the Florida Canyon Preserve and their personalities shone through immediately. 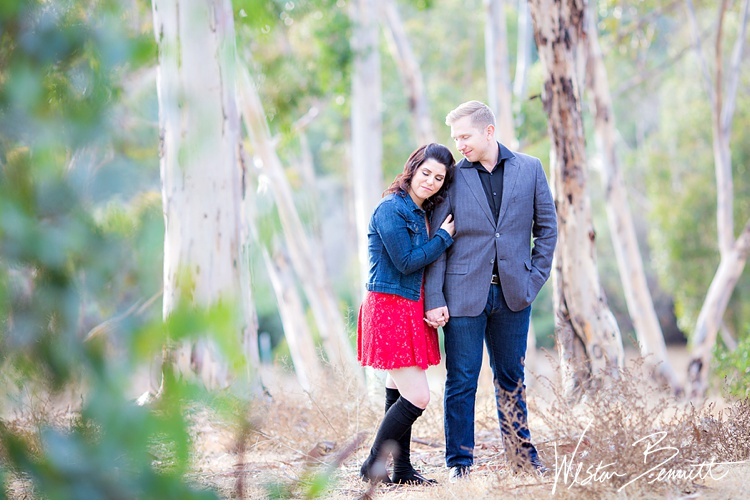 We then took a trip through Balboa Park and ended their session in their very own neighborhood of North Park. This session is full of crinkly-nosed smiles and sweet snuggles. I can't wait for their wedding next year! In the meantime, I'll just be hanging out and drinking wine with these two cuties! 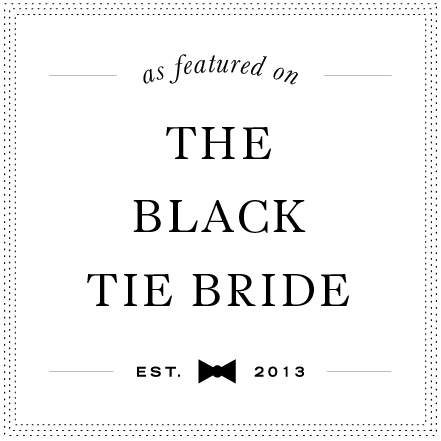 Older PostFEATURED on The Black Tie Bride!